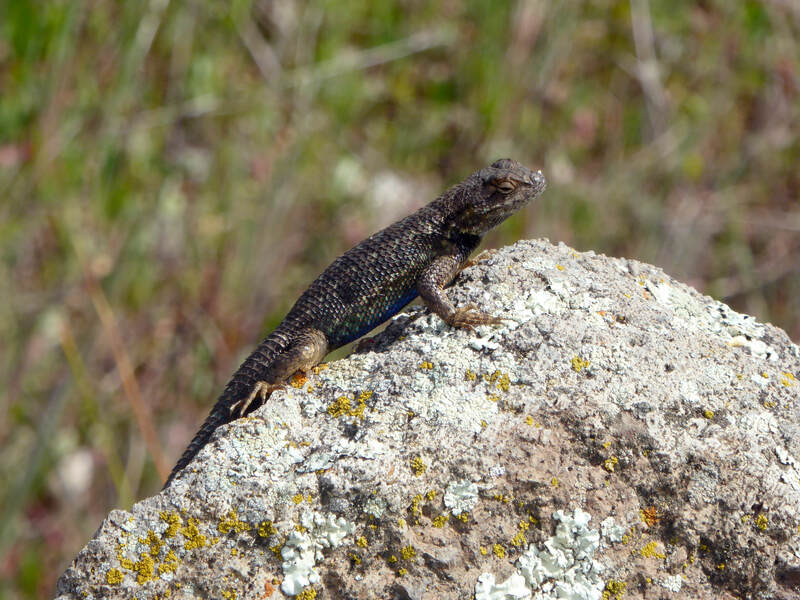 Today was the first day I noticed lizards on the trail this year, although it must be admitted that I hadn’t been on the trail for a couple days. But suddenly they are everywhere, along my entire hike from the 4th Street trailhead on the Montini Preserve all the way up to the top of the Overlook. Lizards provide a characteristic short, sharp rustling sound as they scurry and stop, scurry and stop, in the dry leaves. If the rustle is not of this variety, it may be a snake instead. Lizards, like snakes, are reptiles and as such are cold-blooded. This means they rely upon their environment for body heat, which also requires them to hibernate for a period during the winter when ambient temperatures are cold. When they emerge from hibernation depends on the weather, and our recent heat wave in mid-February clearly has released them from hibernation. So keep an eye peeled for this little creatures, who are often quite colorful, and also for their cousins, snakes. If the lizards are out, then rattlesnakes can’t be far behind.